A .travis.yml config file is a main configuration point for your builds. It’s a really powerful tool with lots of options and possibilities and it has been doing its’ job tremendously. There are some settings, however, which doesn’t fit there as well as others. Sometimes it’s much easier to set a setting for a repository globally, for all of the branches. Some settings, like notifications, can also make it hard to work between forks. There is also a case of vulnerable data, such as API keys or passwords, which you can store securely in a .travis.yml file only after encrypting it. We’re aware of those shortcomings and we would like to start tackling them with repository settings kept on Travis CI servers which can be configured through the API, our web client or Travis CLI. If you prefer using CLI just type travis settings --help for more info. 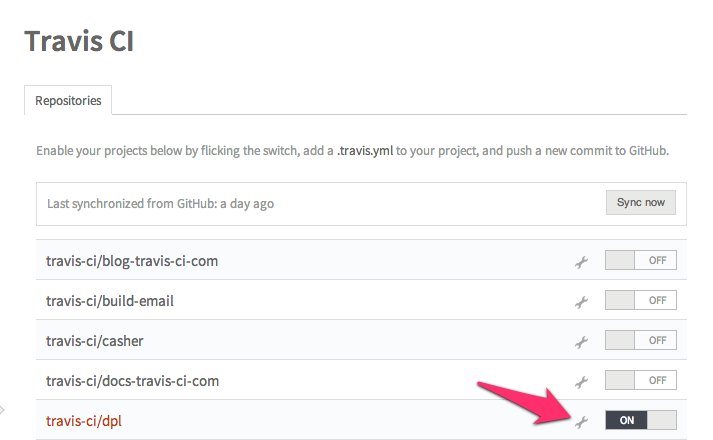 Build only commits with .travis.yml file - by default we build all of the commits pushed to GitHub, but sometimes it’s not needed, branches not having .travis.yml file will most likely end up with errored out builds. By checking this option, you change the default behaviour to not build a commit if it does not contain a .travis.yml file. We would love to hear which settings will make the most sense when moved to the web UI for you, please let us know what you think!